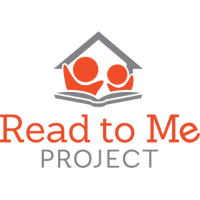 The “Read to me” preschool literacy project is your opportunity to engage with youth in our community to support early childhood development and childhood literacy in our community. We have shifted our program, with the support of club members and the board, to a partnership with EPIC and their literacy program. The club will adopt a classroom in a Pueblo West preschool and now we need your help! As part of our commitment to the project, we will commit to reading to the class a minimum of once per month. Each month, we will read a book to the class and then send every child home with a copy of the book so they may tell their parents/guardians about it and read it with them at home. The goal of the project is not only to distribute reading material to kids, but to help them engage at home and create excitement around reading. We can read more often than monthly if we have the volunteer count. Look for a volunteer signup via sign-up-genius in your email. Volunteers will be required to complete a background check through D70.